Conceived in Edinburgh, Spraffl is a smartphone app that removes the ego from social networking and creates an instant anonymous hyper-local network. In basic terms, it allows us to instantly connect and comunicate with people around us without having to be connected to them on other conventional social networks. For example, if you’re sitting in a cafe, it’s highly unlikely that you’ll be connected to many people in the same cafe on Facebook or Twitter. Spraffl allows you to post content geo-tagged to the cafe’s location that anybody in the same cafe (or those nearby) can read and comment on. As you wouldn’t sit in a cafe wearing a name badge on your chest listing your hobbies and interests, we feel that the same right to privacy should apply in an online environment. That’s where anonymity comes to play. By stripping all identity from posts made within Spraffl, the network becomes all about ‘what’ is said ‘where’ and not ‘who’ said it. Surely that’s what a great social network is all about: quality content! Spraffl is group moderated, meaning that we the users, get to decide what’s appropriate, and people who abuse anonymity by posting offensive content will be blocked from using the app. We’re marketing the Spraffl app as an anonymous social experiment because the truth is, it’s up to the people who join and use it to decide the direction it takes. We’re delighted to see that so far the app is being used in many positive ways and a close-knit anonymous community is already forming in several areas. Time to take it for a spin? Post anonymous comments wherever you are with Spraffl. 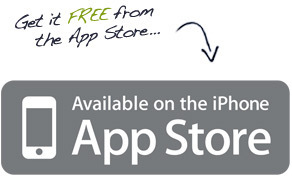 The Spraffl iphone app is available for free at the AppStore. Spraffl is coming soon on Android – sign up here to be notified when the Android app is ready for action. 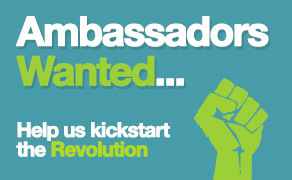 Become a Spraffl Ambassador and help spread the revolution in your city.